Mental Health and More...: THE ADVENTURES OF SANCHO AND RUSIMUS: A KICKSTARTER CAMPAIGN! Discussions on mental health issues, treatments, and other related information. Also, opinions and stories. THE ADVENTURES OF SANCHO AND RUSIMUS: A KICKSTARTER CAMPAIGN! Hello fellow readers (all 3 of you)! 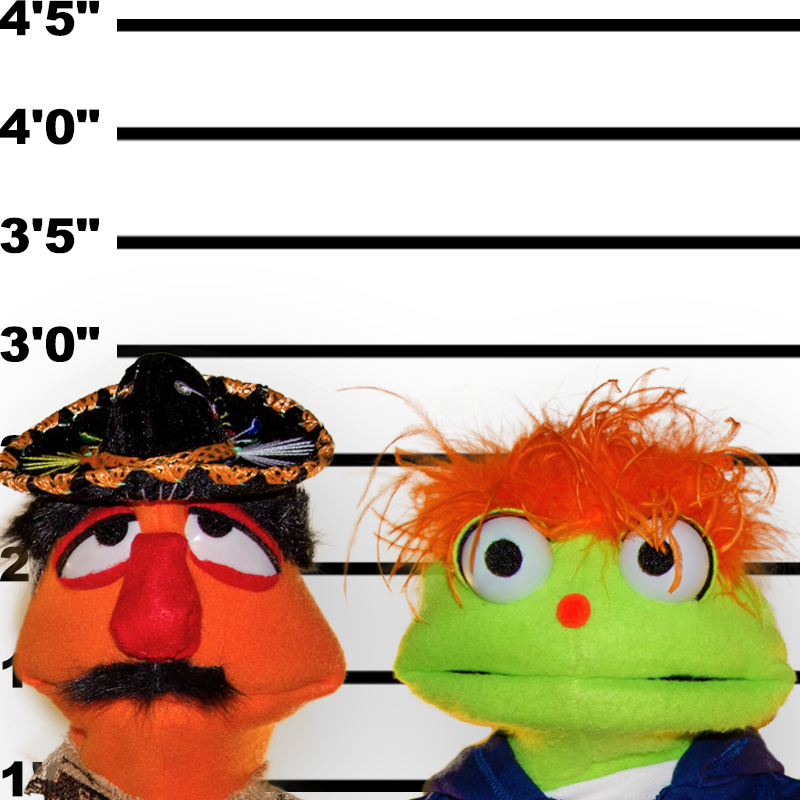 I am not typically one to toot my own proverbial horn, but over the past two years I've had the crazy opportunity to develop a puppet show called The Adventures of Sancho and Rusimus. I've been doing it with my best friend, Russ Francis and we created two characters (Sancho del Chayito and Rusimus von Rusimus) who have crazy adventures. We have performed at Comic Con SLC in 2013, Comic Con SLC in 2014, The Art Festival 2014, and a few shows at The Pony Express Elementary School. What I have enjoyed the most is seeing how children, adolescents, and even adults lose themselves in their interactions with the characters. I have even used Sancho to talk to children who have lost pets or otherwise experienced some kind of emotional upheaval. We want to share them with the world! Now, we are creating an adventurous video game about their various fun activities. Please, look at the link below on Kickstarter and make a pledge today! We need the funds to pay for the back end of the programming. The game is also a part of a new curriculum with Broadview Entertainment Arts University (BEAU) where students will participate in the art development, story line development, and work with Track 36 Studios with motion capture and other various activities. Therefore, the campaign will cover entertainment, education, and many areas that can benefit students and consumers alike! Thank you for your time and your support! Jamison Therapeutic Services, LLC 394 West Main Street. Lehi, UT 84043 email: jamisondouglaslaw@gmail.com First and foremost, I am a family man with four beautiful children and a lovely wife. I have strong spiritual beliefs that are the foundation of my life along with my family. I am a mental health counselor, an educator, a trainer, and consultant.